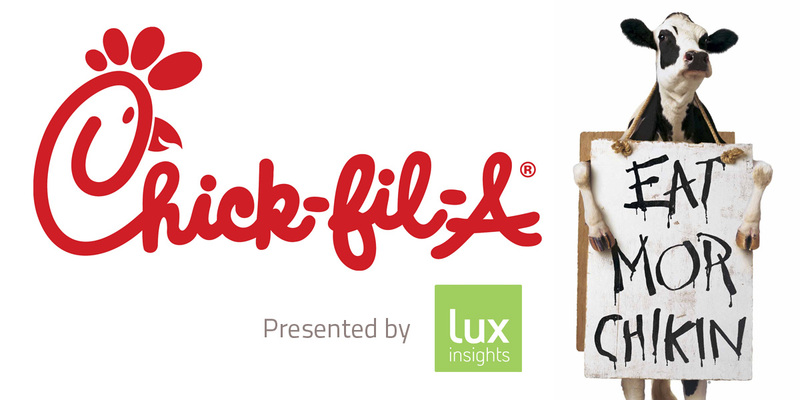 For Lux’s 6th anniversary, we are holding a special event with Tom Morder, Chick-fil-A’s Director of Strategic Insights. With annual sales exceeding $6 billion, Chick-fil-A is one of the largest QSR chains in the US. The Brand has had 48 years of consecutive growth due in large part to listening to its customers. Tom will give us a behind the scenes look at Chick-fil-A’s Voice of the Customer program as well as how the purposeful (and sometimes contentious) Brand navigates public opinion.